The first stage of producing the car is either developing and evolving last year’s car or starting the design from scratch. The next step is designing a 3D model on a computer. All the components are tested on software to ensure that they will survive the forces the engine will be subjected to. All sub-teams combine their knowledge and skills to bring together the different parts for main car. The detailed design specifications for each part are given to the technicians who will begin manufacturing. Once the parts are ready, assembly and adjustment can begin. Once contructed, the car will be tested for speed, acceleration, handling and endurance at the Silverstone Circuit. Suspension sub-team: members define the suspension geometry. They analyse the vehicle used for the last competition and use the calculations to optimize this year’s car. Powertrain sub-team: each student is responsible for designing a particular component of the engine, such as the cooling system, the exhaust system, the intake manifold, the fuel tank, etc. The Chassis sub-team: the team is responsible for the rear spaceframe and the front monocoque. SolidWorks: computer aided design (CAD) software used for designing products and product components. ANSYS Mechanical (FEA software): used for identifying the weak points of the car and whether the components can withstand the subjected loads. Ricardo Wave (engine simulation software): used for simulating the engine and all of the auxiliary components. ANSYS Fluent (CFD software): used for simulating fluid flow within the air intake and exhaust systems. MSC Adams (MBD software): used for suspension modelling and optimisation. 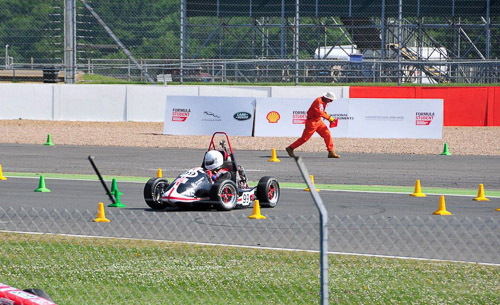 The CR13 was essentially a good start as the first entry into Formula Student. It gave the CityRacing team a strategic model to work from and for the next entry, an entire re-design was not needed, thus enabling the team to concentrate on improving smaller adaptations that would make the car a better model. To increase performance and drivability of the vehicle, the team focused on weight saving in all areas of the car, refining the chassis layout and extensively tuning the engine. The team also made the addition of electronic data logging equipment to improve the performance of CR13 and also, to aim to improve future City Racing car models. The CR12 met it's design objectives and essentially was developed as a good base for the City Racing team. The main aim of the next car, CR13 was to develop the solid base and tweak the minor errors that the team encountered at the previous year's competition. As with the previous year, the team focused on the design phase of the CR13 paying critical attention to performance and weight issues. 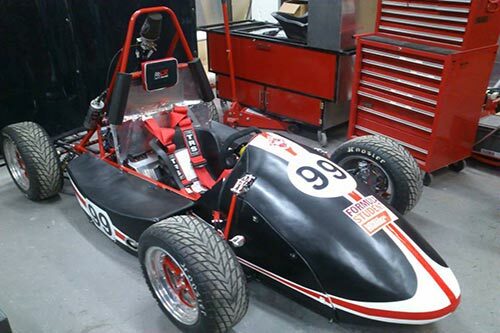 City Racing 12, or 'CR12' was the City Racing team's first entry to Formula Student, providing a critical base upon which the team developed the design for the inaugural car. The car was developed to be reliable, simple, cost effective and appealing to the amateur weekend racer. 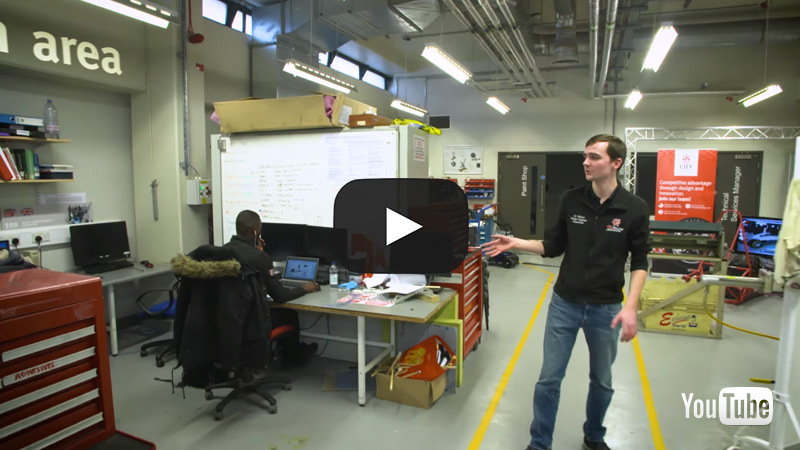 The number one priority of CR12 was reliability so the team could meet the Formula Student objectives and complete all dynamic events over the race weekend. CR12 moved City Racing into a respectable position reflecting the team's potential and ambitions for the future.